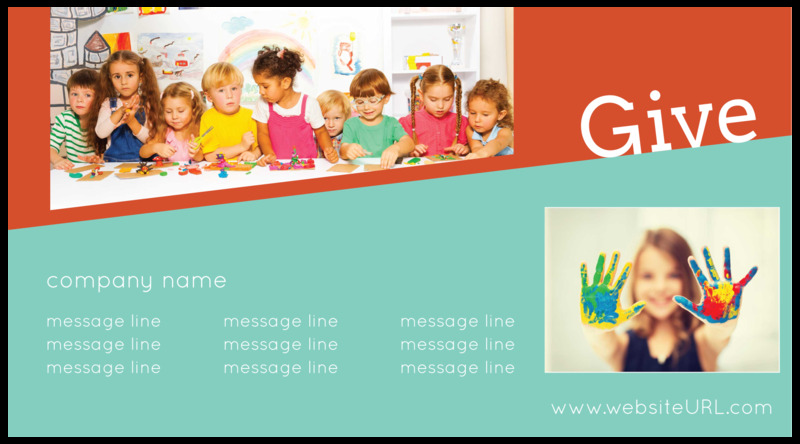 Our Tilted Fun postcard design template makes it easy to print personalized postcards that promote happiness to customers and donors. The modern design is a great choice for a variety of businesses and organizations: schools, daycares, children’s retailers, art clubs, nonprofit organizations, and more. The front features a fun two-toned tilted background and two large, attention-getting images alongside your call to action. Despite the template’s ample white space, there’s still plenty of room to add your features, benefits, and offer messages. Your call to action is prominently displayed in a tilted box on the back of this postcard, with your custom image on the bottom and your personalized message in between. Available in both vertical and horizontal layouts plus three unique and vibrant color schemes, Tilted Fun is a great choice for your next direct-mail marketing campaign. Customize it today with our online design tool! It’s easier than ever to print custom postcards when you use PsPrint’s free online postcard maker. The intuitive tool lets you easily upload your own photos and edit your templates text to send your own personalized message to customers. You can even add your own text and image fields, change fonts, and adjust layouts. It’s fast, easy, and free! 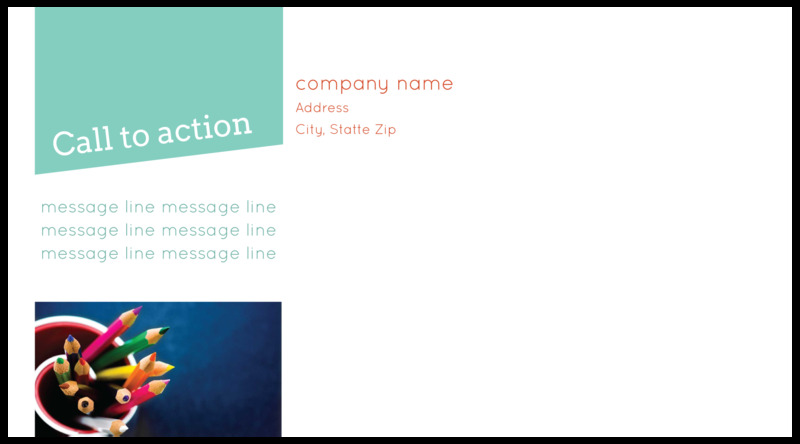 Our customers love the high-quality printing and excellent value we offer on custom postcard printing. Your postcards will be printed using cutting-edge printing presses and the finest paper stocks available. Vibrant soy inks make your colors pop, while our nationwide printing facilities ensure you get your postcards fast. To top it off, every postcard printing job is backed by our 100% customer satisfaction guarantee! Need custom printing? No problem! We offer elegant foil stamps, original die-cut postcards, and attention-getting ultra postcards to help you stand out from competitors. You can even use our online tools to create your own mailing list based on your customer demographics; plus, save time with our in-house postcard mailing services!